Look dressed to the nines in this White Child Bow Tie. 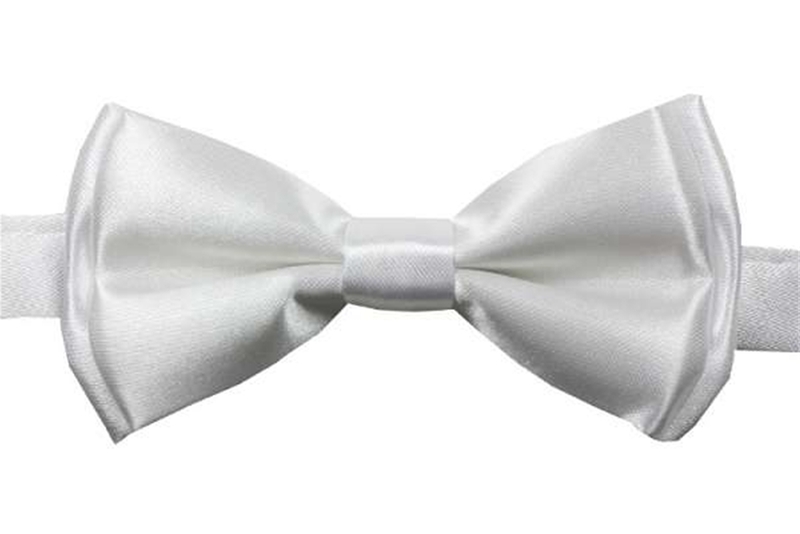 The child bow tie features a pre-tied white bow in a satin finish. The bow measures 4 inches across and 2 inches high on the ends. An adjustable sliding strap makes the bow tie comfortable and easy to wear. The bow secures by hook ends on back. When laid flat, the bow tie measures 18 inches across from end to end. This child white bow tie will make any Halloween costume or everyday outfit stylish and elegant.